I know, I know, this is technically two – but they simply go together like two peas in a pod. Nothing is better for me than sitting down in New Orleans Square and enjoying these two delicious concoctions with my lovely girlfriend. Especially when the park is particularly crowded and/or hot. They’re so tasty and so refreshing that sometimes it’s even as good (or better) than heading back to the hotel for a mid-day nap. I can eat like ten Mickey shaped Beignets in one sitting… and in some cases I ruin my appetite for dinner, but it is usually still worth it! 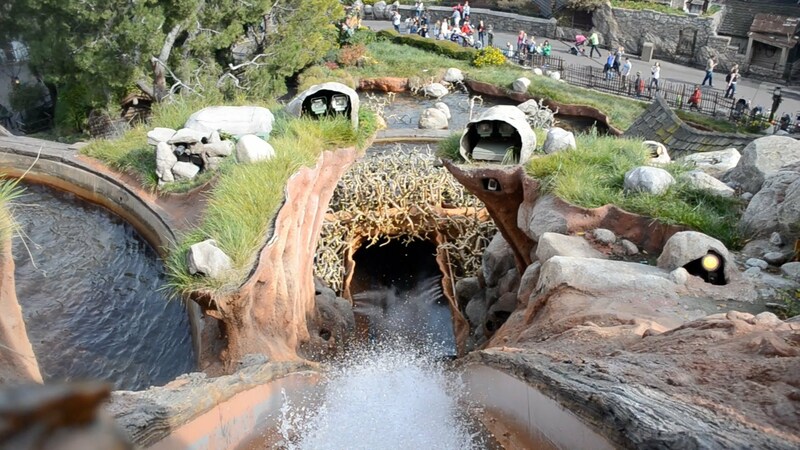 No matter how many times I enjoy Splash Mountain this one gets me every single time. You’re right there on the tippy top, about to go over board, and as you try to briefly enjoy the view from the top, your stomach sinks a bit as you topple down to the very bottom. I find the drop exhilarating every time no matter how many times I do it. Even I have to admit that when the rope drops and every one makes their way to their favorite ride even I am tempted to run sometimes. I mean, it’s just so thrilling to know that your day at a Disney park has finally begun! You’ve obviously already picked what you’re aiming for first, and you “power walk” that way and hop on, sans line, and enjoy the first ride of the day. If you’re like me, you’ll ride it again once or twice and fully maximize the line-less morning. 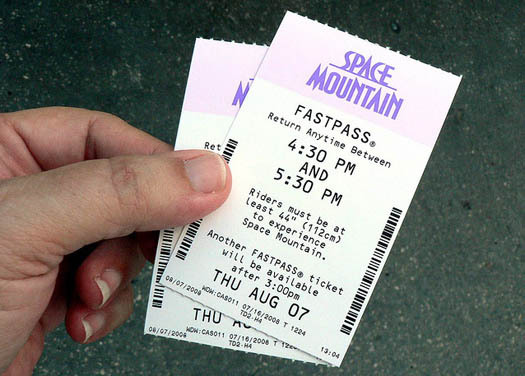 But, what makes the first ride even more satisfying, is riding it a few times, letting the fast pass times build up a little, then grabbing a fast pass ticket for later (if you’re lucky, at least an hour or two later) so that you can ride it one more time, sans line, in the middle of your day. For the record, yes, Space Mountain is usually the ride I am “power walking” to when the rope drops. That concludes DAY ONE of the positivity challenge – Disney style. Readers, where do these three rank on your positivity list? 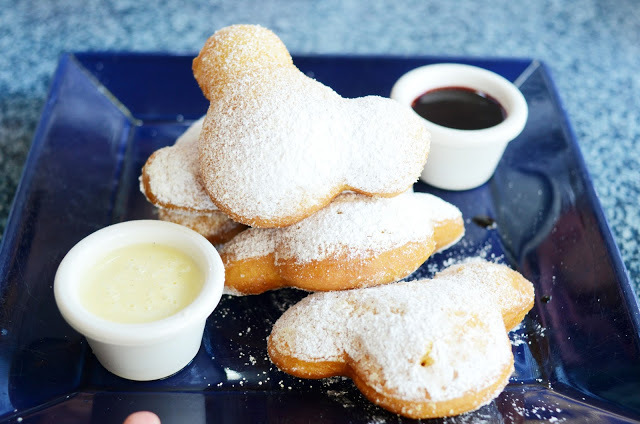 Where do you find Mickey shaped beignets? As for Mickey-shaped Beignets, there are only two places to find them in Disneyland. Both are in New Orlean’s Square (by Pirates of the Caribbean). The first is the Care Orleans and the other is the Mint Julep Bar (which is kind of hiding off to the side, by the bathrooms nearest the Disneyland Railroad Station in New Orlean’s Square). You can also get normal Beignets in Downtown Disney at Ralph Brennan’s Jazz Kitchen. Sadly, you cannot get Mickey-Shaped Biegnets at Walt Disney World, but you can still find normal beignets at the Port Orlean’s French Quarter resort, as mentioned in my other post, Five Fun Disney Dining tips for WDW. Hope this helps you find all your beignets!